A juvenile bald eagle sometimes joins us on our daily ski to Harpswell Cove but not when I bring my camera. My daughter took this photo of me. Winter sports build up a big appetite. 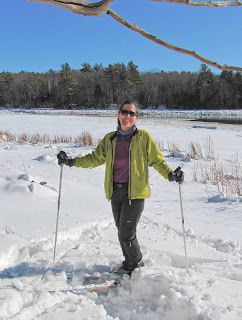 After Nemo dumped 26 inches of snow, I've been skiing every day with my friends and our dogs. My kids are on their school's Nordic Ski team. A crowd pleaser for the whole family is my husband's Shepherd's Pie. Henry (a Brit) crafted this recipe from his memory of the pub classic. The dark ale adds a special flavor, and Hobgoblin is one of our favorite British imports. You can also substitute another dark ale like Guinness; this dish is popular in Ireland too. The alcohol will evaporate with cooking so it's fine for the kids. I usually drink Hobgoblin with the meal and toast the marvelous chef. Cheers! Boil the potatos in lightly salted water till cooked (piercable by a knife, about 15-20 mins). Mash with about ½ tbs butter and some milk. Brown the meat in a large casserole/dutch oven over medium heat with some olive oil, adding the onions/leeks, carrots, celery, mushrooms and garlic and finally the herbs and salt/pepper. Cook in oven until browned, about 20 mins. Click on the "recipe" label below to find more of Henry's recipes. He's a wonderful cook. Recipe Watch: check out Gloria @ Canela's Kitchen. She posts her recipes in both English and Spanish. We have a special interest in her Chilean recipes since that is part of my husband's ethnic heritage. 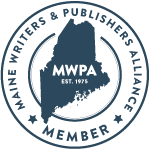 We were so surprised to see that Shepherd's Pie had made its way to Maine, but now realise the British connection. And, what could be more British than this, except that your version seems to have a number of special ingredients. We are sure that it tastes delicious and would, we imagine, [for we do not ski] make the most perfect aprés ski food. So warm, delicious and comforting after hours spent on the snowy slopes!! 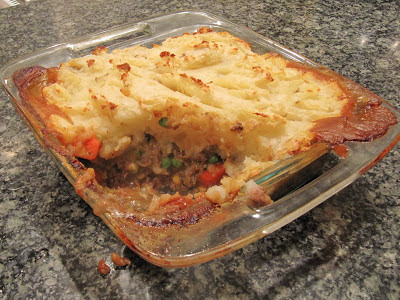 I love Shepherd's Pie, and this looks like an especially delicious recipe! 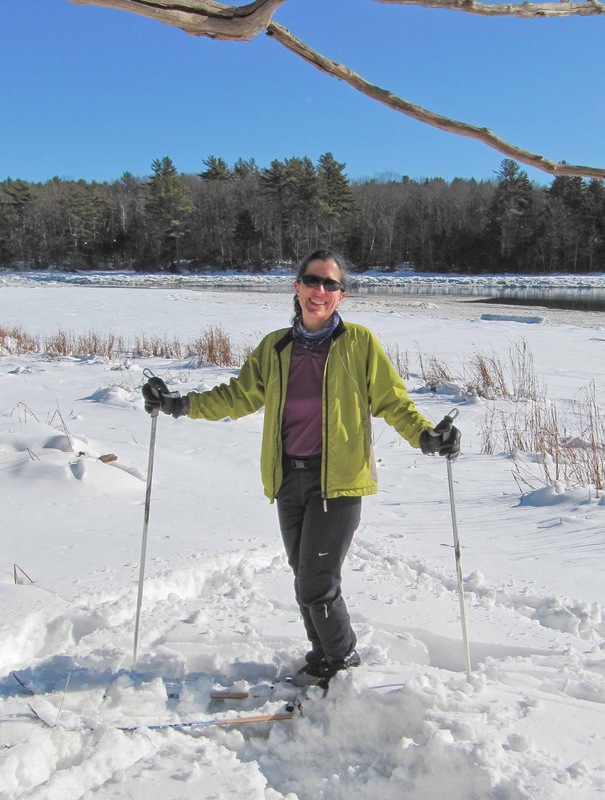 Beautiful shots of winter in Maine! It really is a spectacular season. The minute I saw the title of your post, the word "British" flashed up before my eyes. One of my favourite recipes from my adopted country. Many thanks. Look delicious Sarah!! I love Sheperd's pie! love your recipe. And thank by mention me dear Sarah! It sounds like a perfect stick to ribs meal for cold weather! 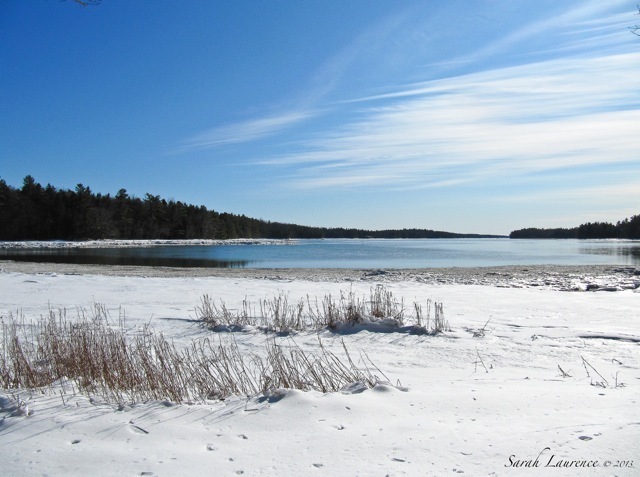 Sarah, your pictures are always so inviting, giving 'the wish to be there' feeling, despite all the inches of snow. In summer you will remember how great it was to ski! Shepherd's pie is one of my favorite British recipes, when it is cold I like it in particular. We cook so global these days. Oh goodness Harpswell Cove looks like a place I must visit someday!! A great shot and looks like quite the spot, Been over at Gloria's sea for years now, giving off my little rhyming meow. Sarah, How lovely to have Hapswell Cove so nearby and to have a camera-shy bald eagle as a companion at times. What fun to be skiing in such a beautiful environment. Your recipe sounds exactly (sans ale) what my mother used to make when I was a child. I imagine the red current jelly was absent too. It all reads so yummy and comforting to those in from a winter sport. i made your son's asian meatball in lettuce recipe some time ago (which was a big hit) so i look forward to trying this on my family sometime soon. cute foto of you! 26" whoa that is snow! so glad that you are enjoying it! I am here via Carol of Flower Hill Farm. Thank you for sharing this recipe. I will give it a try. sounds fab. The recipe has been handed over to the one and only cook in our family. Well, there are two. But I'm horrible. Jane, Lance, Alyson, ACIL, Tina thanks! Let me know if there are any glitches in the recipe if you try it. Gloria, thanks – we’ll check out your Chilean label! Troutbirder, my husband says there is no one right way to do it, as how thick it should be is a matter of taste and depends on the natural variance of the ingredients. Don’t worry: it will be tasty no matter how you do it. It’s a forgiving recipe. I’m curious about your mom’s Nowegian Klub: what is that? Jacoba, cold is at least good for snow. Our snow is mixing with rain as the temperature climbs. Carol, Henry first made it without the ale and it wasn’t quite as tasty. Thanks for sending Tammie my way. Tammie, Optimistic Existentialist and Pat, welcome to my blog! Tammie, nice to hear how you found me – Carol is lovely. Amanda, it was nice to get feedback on the last recipe, which my son cooked, but it was Henry’s recipe too. I hope this one works for you too. Henry loves sausage rolls too, but they aren’t as healthy as this dish. David, I confess to being not the most attentive cook myself. I get distracted by my writing and often forget to start dinner when Henry is out. It’s a good thing we have someone to feed us. Petra, it’s not a photogenic dish so that’s why I skipped posting one. Imagine beef and vegetable stew in a casserole dish with barely browned mashed potatoes on top. It tastes much better than it looks. As for your other comment: I’d ask for your Facebook page except that you’re probably not posting in English, right? Barrie, I knew you had Canadian roots but not Irish ones too - interesting! Petra, I've added a photo of the finished Shepherd's Pie.